You know people are being diagnosed with various critical illness every day. A number of people with critical health conditions are increasing every day. 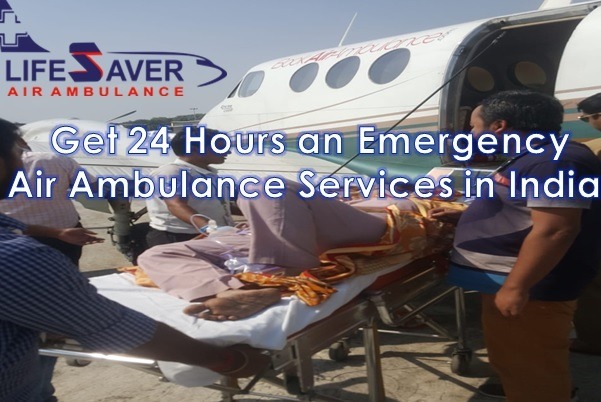 We at lifesaver Air Ambulance provides quick patient transfer by our Air Ambulance in Patna. We understand it well that different types of patients need distinguished ICU setup and they are required to attentive care by skilled health care professionals. As such we provide predictable and brisk Air Ambulance from Patna to help you repatriate loved ones. Lifesaver Air Ambulance delivers outstanding patient transfer with all the resources it has. We take very good care of the patient until he/she is shifted to the hospital’s bed. Oxygen cylinder, ventilator, defibrillator, suction pump, infusion pump, and portable power supply etc. Get Air Ambulance in Patna at low cost.